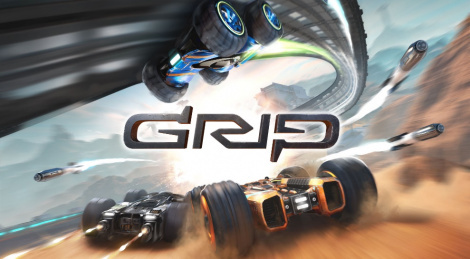 After spending something like 3 years in early access, GRIP is about to be released on PC, PS4, Switch and Xbox One and we have some Xbox One X footage for you today. 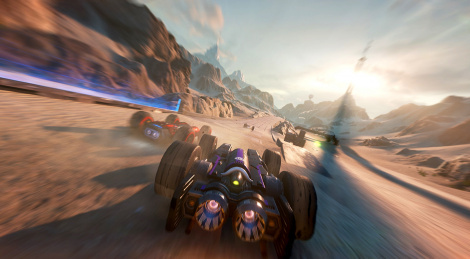 From what we've seen, there is no boost in resolution on Microsoft's latest console nor is there a 60 fps mode, which is a little bit of a shame in a racing gme. That being said, apart from a few technical issues (shadow pop-in and collisions can still be improved), this tribute to Rollcage offers a smooth experience during races. Enjoy the videos! Update: The game actually runs at 60 fps now, we're preparing more video coverage to show the difference. 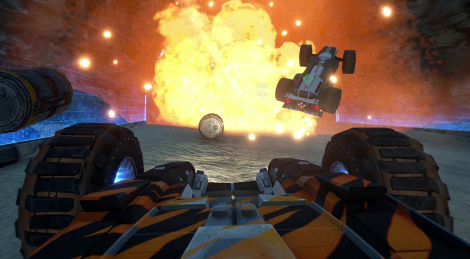 Wired Productions revealed that the Rollcage tribute game GRIP will release on November 6 for PC, PS4, Xbox One and Switch. 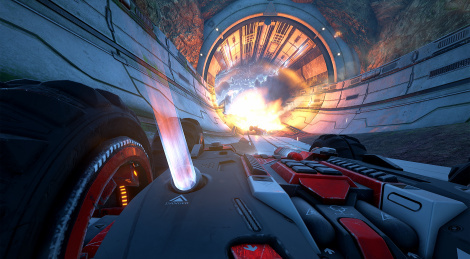 The Rollcage-inspired combat racer GRIP from Caged Elements, currently on Steam early access, will launch fully later this year and will also make its way on PS4, Xbox One and Switch thanks to a partnership with indie publisher Wired Productions. 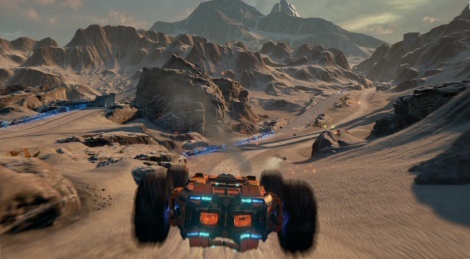 It will feature online, offline and split-screen modes. 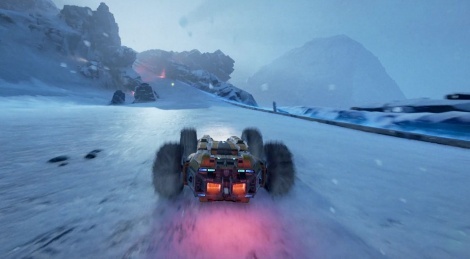 If you're old enough to have played Rollcage, then Grip is surely the game you've been waiting for since the PS1 era. Developer Caged Element was kind enough to send us a private demo of their game, and though it is rather short of content for now, it is undeniably promising. As it is after all an alpha version, not everything is perfect in terms of gameplay, but we've been having a lot of fun playing. AI can be frustrating at times but the following HQ videos should be enough to get you hyped. The game will be available in early access soon if you're interested and you want to support it. 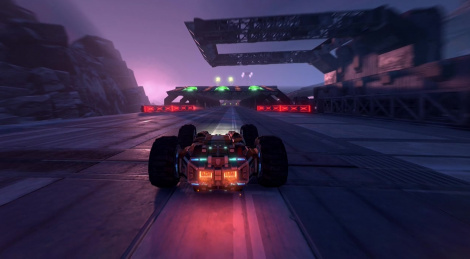 Cage Element revealed earlier this month GRIP, a futuristic combat racing game inspired by Rollcage games. You can watch the prototype trailer inside which has been made by two people using Unreal Engine 4. The title has been greenlit and they hope to grow the team and enter full development with the help of a soon-to-be launched Kickstarter.